Three members of the Rotary Club of Bournemouth North have been made “Paul Harris Fellows” for outstanding contributions to Rotary. This means that five awards have been made within the club during the past year which is quite outstanding. All past presidents of the club Rotarians Anne Green, Patrick Macdona and Terry Wood were presented with their award by Club President Gabriel Shead at a recent club Meeting. Patrick Macdona was a founder member of the club joining in March 1970, Terry Wood in July 1978 and Anne Green in January 2009 thus amassing 99 years of support for both the club and the local community. Rotary clubs from across Dorset, Hampshire and Wiltshire entered this popular annual event, and throughout the summer the 42 clubs battled in the early rounds to win a place in the finals which took place at Lymington on Sunday 17th September. 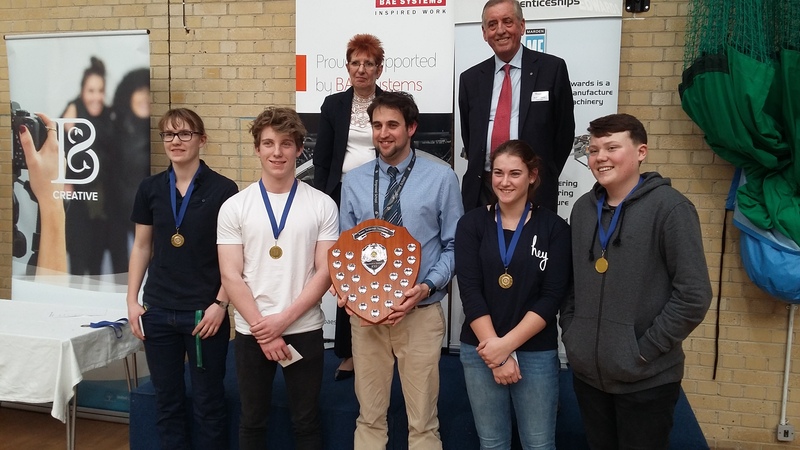 The six finalists included last year’s winners Bournemouth North RC. The quarter finals saw wins from Southampton, Southsea Castle and Bournemouth North, who were joined in the semi-finals by Sturminster Newton as the highest scoring losers. The semi-final matches were keenly contested, evidence of the much-improved standard of play from clubs throughout the competition, but it was Bournemouth North and Southsea Castle who went through to the final. In the final, a hard-fought contest in the triples saw the clubs standing level at one game each. After two of three legs in the doubles games the score stood level at two games each. The third and final leg took place in a similar close manner and with the score at 11 – 10 it could have gone either way. However, Bournemouth North just managed to gain the thirteen points required to win the game 13-11 and thus the competition. The plate competition was won by Verwood RC who defeated Andover by three games to two. The weather on the day was glorious and although the terrain proved difficult for all players everyone enjoyed the day and we look forward to another exciting competition next year. Two members of the Rotary Club of Bournemouth North have been made “Paul Harris Fellows” for outstanding contributions to Rotary. Rotarian Charles Cleghorn Joined Bournemouth North in 1984 and has done just about every job in the club over the years including two spells as Club President in 1994/5 and 2004/5. Charles is currently serving as Club Almoner as well as maintaining his contacts with many local charities that he is has been involved with for many years. Rotarian Stan Webb joined Bournemouth North in 2004 and has served on all of the Club Committees since then, including becoming Club President in 2009/10. In recent years Stan has served on the Club Fundraising Committee, masterminding a number of very successful Charity Golf Days all of which raised significant sums of money, which were subsequently distributed by the club to local Charities and good causes. The awards were presented by Club President John Spurgeon at a recent Club Meeting, who congratulated Charles and Stan on becoming Fellows and thanked them both for their tremendous service and hard work since joining Rotary. “Rotary began with the vision of one man — Paul Harris. The Chicago attorney formed the Rotary Club of Chicago on 23 February 1905, so that professionals with diverse backgrounds could exchange ideas, form meaningful, lifelong friendships, and give back to their communities”. 1.2 Million members in over 35,000 clubs around the world now make Rotary what it is today and the world a better place in so many ways. The sun shone on what was believed to be the warmest May Day Bank Holiday on record for the 35th Annual Donkey Derby and Fete at Pelhams Park, Kinson. The event organised by the Rotary Club of Bournemouth North was a huge success pulling in the crowds to watch the spectacle of Donkey Racing, a Dog Show and many other events provided by the Rotary Club together with lots of other local charity organisations. The grand opening was performed by BBC Radio Solent Presenter Katie Martin making her first visit to Pelhams Park. Katie said that “she was delighted to be invited to open the Fete” and spent the afternoon enjoying the attractions and a very welcome ice cream. Katie presented the Afternoon Show 5 days a week for six years at Radio Solent before taking a break to start a family and now hosts the Breakfast Show each Saturday morning between 6 and 9 am. With AFCB’s Cherry Bear in attendance and the Pool Borough Band playing a superb medley of everyone’s favourites there was no shortage of entertainment and attractions. Club President John Spurgeon of BNRC said that “it was brilliant to have such a gloriously sunny day which brought out so many people. The people of Kinson have given tremendous support to this event over so many years and it is much appreciated. With so many people coming down from far and wide to hit the beaches, the Fete provides a great alternative for the holiday weekend”. AFCB’s Cherry Bear meets some of his biggest fans. While the final figures of money raised will not be known for as few days, it looks like being another good year and the Rotary Club give their assurance that every penny raised on the day, together with many other events that they organise during the year, will be donated to local Charities and Organisations providing much needed support when necessary. What would Mary Berry and Paul Hollywood have made of these three? President John Spurgeon of BNRC recently presented a cheque for £1,000 to Rod Slip the Chairman of The MS Society Centre at West Parley. The donation is from money raised at a Fund-Raising Dinner Dance held at the held at the Village Hotel, Bournemouth in October where 140 guests were entertained by internationally acclaimed artist Stan Terry with his amazing Rod Stewart act. The donation will go towards the purchase of a new much needed electrically operated Physiotherapy Treatment Couch. Chairman Rod Slip said “that the donations made to the MS Centre by organisations such as Rotary made such a difference to the Society who are completely self-funding”. President John said that “this is the third time recently that BNRC have been able to make donations to this brilliant organisation having previously assisted with IT Equipment and the newly completed Building Extension which provided a new Consulting Suite, Transport Office, Storage room and a much-needed additional disabled toilet”. The Centre is a place to meet for; people with MS, their carers, volunteer helpers and supporters. Transport is arranged for the less able from and back to the surrounding areas. Lunch, coffee, tea and snacks are available at very reasonable cost. The garden is an ideal place to relax when the weather is kind or the quiet room when it is not. “MateS” is an Informal Group which encompasses younger members, recently diagnosed and anyone else who wishes to meet socially outside the more formal setting of the Centre. Regular meetings are held for carers of people with MS in the Bournemouth and local area. Carers do not have to be members of the branch. The centre has facilities for physiotherapy, yoga, hairdressing, bathing and recreation. Extensive literature about MS is available as is confidential one to one support. A small library of books, video tapes and audio cassettes are available to rent for a very small charge. The computer room has several accessible computers with broadband connection to the internet. The Branch publishes Miscellany Magazine about three times a year. The centre is the focal point for the management and organisation of the branch. There is a private office for support (welfare) officers where advice and guidance can be obtained on many issues of concern to members. There is also a consulting room available for appointments with MS professionals. The general offices deal with the day to day running of the branch, transport, fund raising and the organisation of social and charity events. 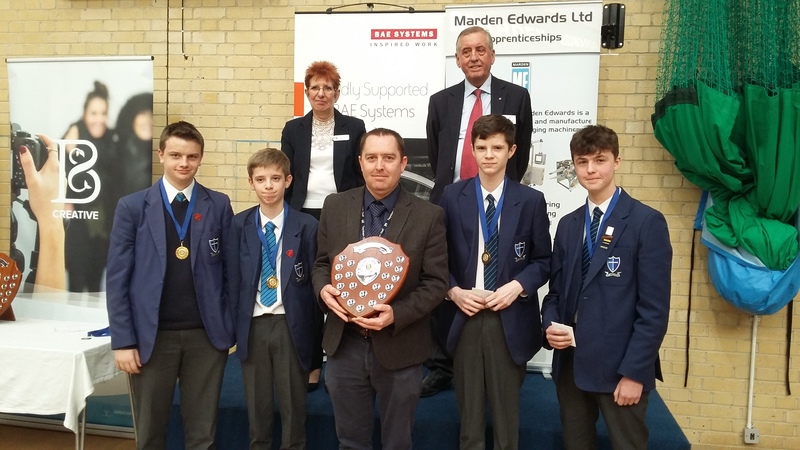 Nearly 150 Secondary School pupils took part in the recent Rotary Technology Tournament held at the Bournemouth Collegiate School. This was the 5th time it has been held since its inception in 2014. Organised by the Rotary Clubs in our District including Bournemouth North, Bournemouth, Christchurch and Westbourne the event was a huge success. 37 teams of 4 students from Key Stages 3, 4 and 5 took part and were challenged to design and build a module space capsule launcher capable of firing a light ball a set height into the air which then had to be recovered by parachute. Starting promptly at 9am the students were required to work as a team to design and construct their solution using a set of materials provided by the organisers which included wood, glue, elastic bands, card and fabric. They then had to demonstrate their construction to the Judges on the test firing ranges. Their design and planning portfolio was also taken into account during the marking process. The organising committee was chaired by Bournemouth North Rotarian Anne Green who thanked the team for the enormous amount of hard work that had gone into making the event such a success. 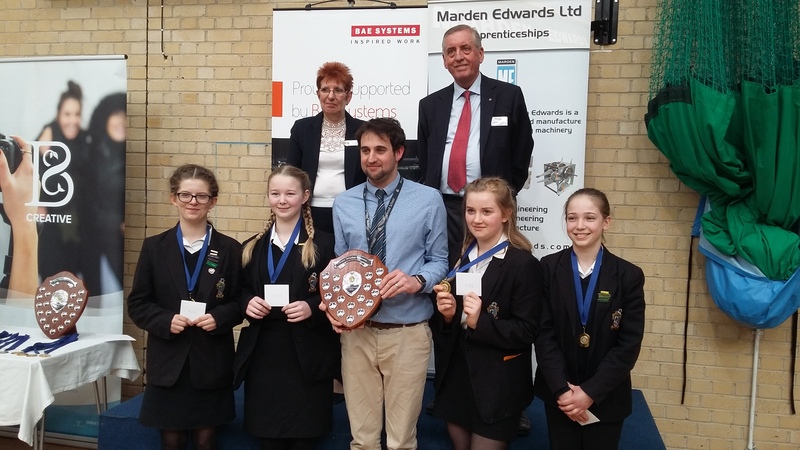 Anne said that a special thank you should also go to the 2 main sponsors BAE System of Christchurch and Marden Edwards Technology of Wimborne, together with the Bournemouth Collegiate School who hosted the event. “Without so many volunteers from our local Rotary Clubs and the backing of our sponsors the event could not go ahead but having seen the results over the years and this year in particular it was well worth the effort”. BNRC have proudly presented a cheque in the sum of £1,500 to Macmillan Caring Locally towards their new reconstruction Project which they are hoping will be getting under way in the very near future. The money was raised at the Clubs annual Golf Day which was held at Knighton Heath Golf Club in Poole. The golf day was held to coincide with the Macmillan National Coffee Morning and was a tremendous success with 15 teams taking part. The photo shows Club President John Spurgeon (left) and Rotarian Sue Slade (centre) from the Clubs Fundraising Committee presenting the cheque to Barry Wilson and Anita Wriggler together with members of the care team at Macmillan Caring in Christchurch.